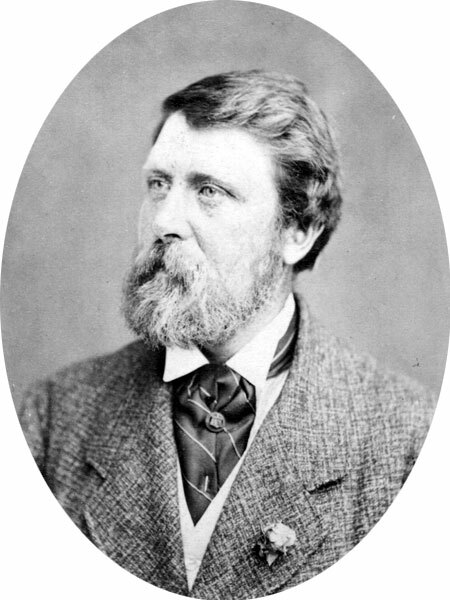 Born at Kelvinside, Glasgow, Scotland, in 1838, the son of John Nairn, the proprietor of the extensive Washington mills of that city. He came to Canada in 1864, where he formed the grain and milling business of A. & S. Nairn with his brother Alexander, at Rockwood, Ontario. Arriving in Manitoba in 1883, he established the Nairn Oatmeal Mills. He was a Director of the Great-West Life Assurance Company between 1892 and 1895. He was a prominent citizen of Winnipeg, occupying the position of President of the Winnipeg Board of Trade and Winnipeg Grain Exchange, a director of the Exhibition Board, and a commissioner of the Winnipeg Parks Board. An active member of Knox Presbyterian Church, he served as a trustee and chairman of its management board. He served for many years as a Director of Winnipeg’s General Hospital, and Treasurer of the Manitoba Historical Society. He was an avid reader and amassed a valuable collection of books connected with the history of the Canadian West. Nairn died at Winnipeg on 14 October 1900, leaving a widow and a daughter, and was buried in the Kildonan Cemetery. He is commemorated by Nairn Avenue in Winnipeg. Stephen Nairn, Dictionary of Canadian Biography XII, 777-78. “Death of Mr. Nairn,” Winnipeg Tribune, 15 October 1900, page 3.